Apex, your friendly, local plumbing and heating specialists. At Apex Plumbing and Heating Services we have a team of experienced professionals to design and install your dream bathroom. We aim to put a smile on your face! At Apex Plumbing and Heating Services we have a dedicated, experienced team of heating engineers providing a tailor made quality service for all our customers. At Apex we are a committed team of professionals providing a high quality service for our customers. Our gas engineers and plumbers are all fully qualified and experienced in all aspects of work. Apex is a registered Gas Safe company. We will provide a free written quotation service and are more than happy to spend time discussing options on any size job with customers. Please contact us for boiler and central heating installations, boiler service and repair, any gas works, all aspects of plumbing, bathroom design and installation and electrical services. You have the reassurance that we are a member of the Derbyshire Trusted Trader Scheme. 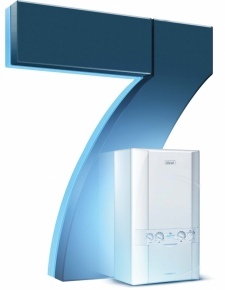 12th May Ideal Logic + Boilers come with a full 7 year manufacturers warranty! 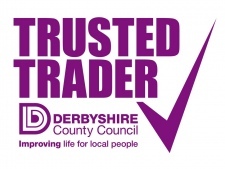 27th Feb We are a member of the Trusted Trader scheme run by Derbyshire County Council.